Water gardens are our passion and what we are known for. 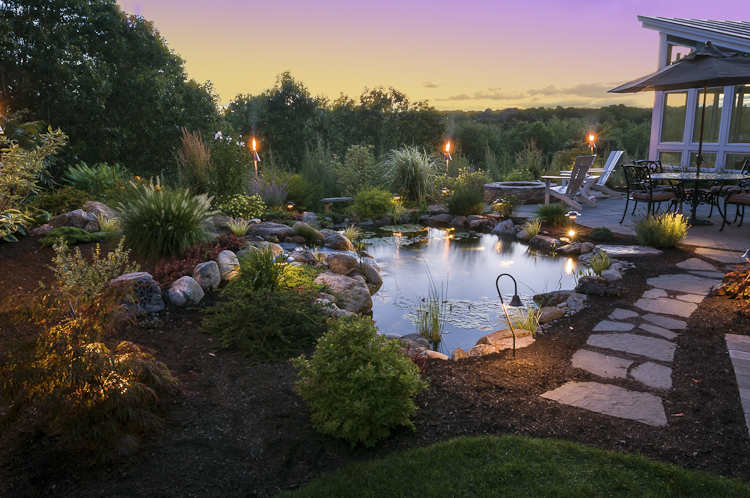 We have created water gardens for every area and every budget: as big as Bass Pro Shops at Gillette Stadium in Foxboro, MA, and as small as an intimate pond in a quiet back garden. When you are considering installing a water garden, experience is important. Often we do repairs on existing water gardens that were poorly designed and built. We’re happy to do it – but it is always better to start with a quality job from the very beginning! If you have always wanted a water garden, contact us and we’ll be happy to come out to your home and take a look around!